Memberships are offered by 3-month contract after going through eitherour Foundations or On-Ramp program. When you sign up for a membership, you are committing to becoming a healthier and better version of yourself and allowing us to help you get there. We offer the resources, tools, and education so that you can focus on staying on top of your game, with coaches and other athletes around you to motivate and keep you accountable. Regardless of which membership plan you choose, you will always have a certified strength & conditioning coach leading you and your group of training mates. They will make sure you are moving and exercising correctly while pushing you to perform at your best level. We believe that everyone is an athlete regardless of their abilities, so we train everyone like they are an athlete. 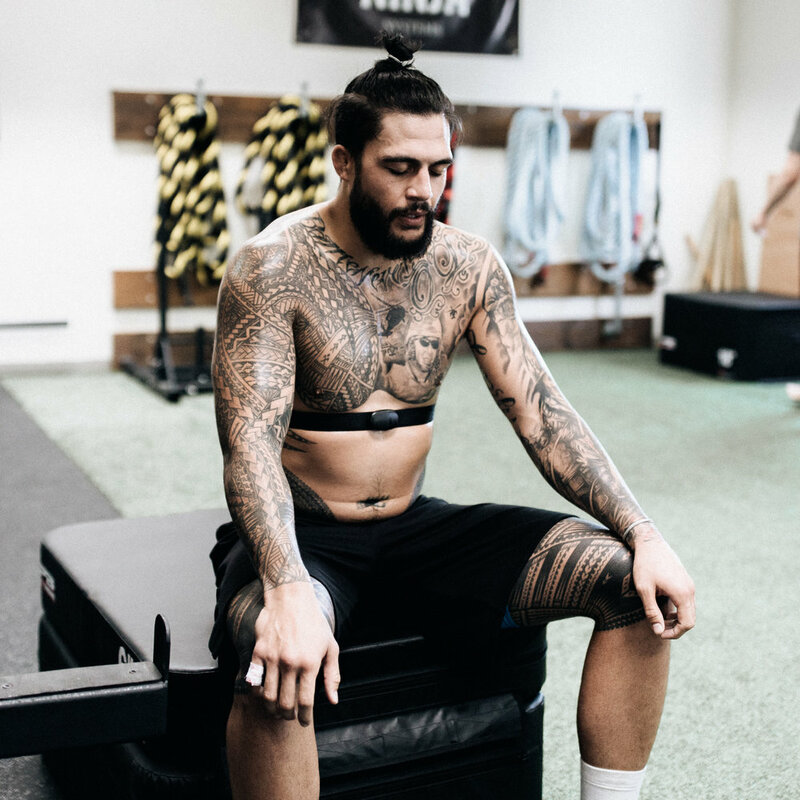 Every member has the opportunity to own a heart rate monitor, which allows us to properly assess your fitness levels before, during, and after workouts. We also offer V02 Max and RMR Tests to allow you and your coach to design your training plan according to your unique needs. Members have the opportunity to schedule a bodywork session to treat sore muscles and any areas of pain. With sessions ranging from 30 to 60 minutes, you’ll be sure to go home feeling better knowing that you treated your body well. Our indoor cycling center is the spot to ride and train when you don’t want to be outside. Bring your bike in and get stronger by riding on our Computrainers a few times a week. Ride with a group or get in some good solo cardio time. Training hard is important, but what you do the rest of the time matters just as much. Recovery, mindfulness, sleep, and nutrition are essential tools to performing at a high level and achieving your goals. We provide resources and education on these topics to help you learn and improve. All members can experience our mindfulness and nutrition seminars and will be the first to know when they are and when something new is available. Performance Ranch Memberships will be continually evolving, so expect to see new offerings and perks as we continue to grow. While all Performance Ranch Members have access to general benefits, your individual training and fitness plans will look different. We have a range of membership plans to choose from that will cater to your personal abilities and goals. We offer free strategy sessions to discuss your goals, give you a tour of our facility, introduce you to our coaches, and help you develop the right program for you and get you started on your fitness journey. Before jumping straight in to a training plan, we need to make sure you know the basic movements and principles of training, as well as how our classes and sessions work. You will be a part of a money-back guarantee, 30-day experience, participating either in classes or training sessions to learn the fundamental movements that all of our skills are built off of to help keep you safeand reduce the risk of injury. Once these movements are refined andprogressed, you and your coach will determine which athletic test to do next and formulate a plan based on your goals. To become a member, please contact us to schedule a strategy session or set an appointment below.